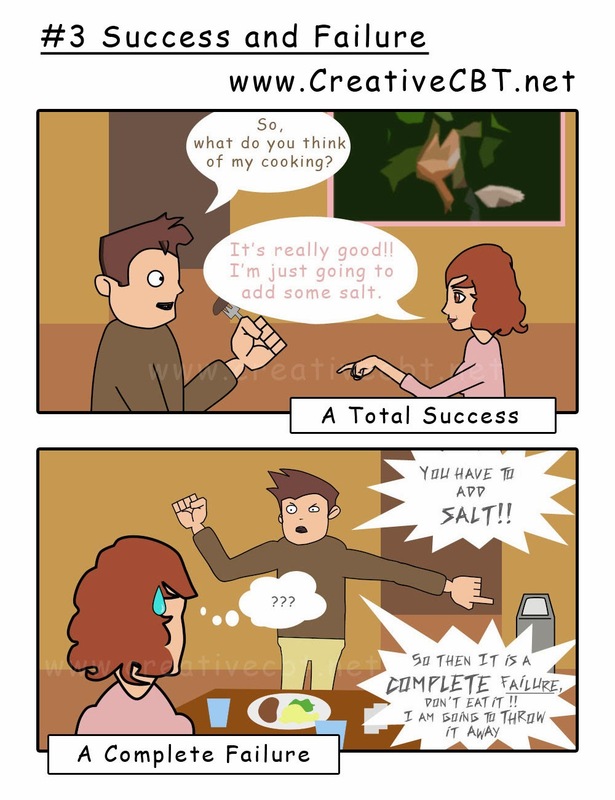 Apparently there is thin line (of salt) between success and failure. A lot of people are guilty of this type of thinking all or nothing thinking. In these situations we may see things in black and white instead of shades of grey, and, very often, when something isn't perfect, or exactly as we'd hoped, we see it as a complete failure. In cognitive therapy we try to address these type of errors in thinking so that you can see the full colour spectrum instead of looking at the world in just black and white. All or nothing thinking - success or failure, feel free to post below if you relate to this one or if you know someone like this.